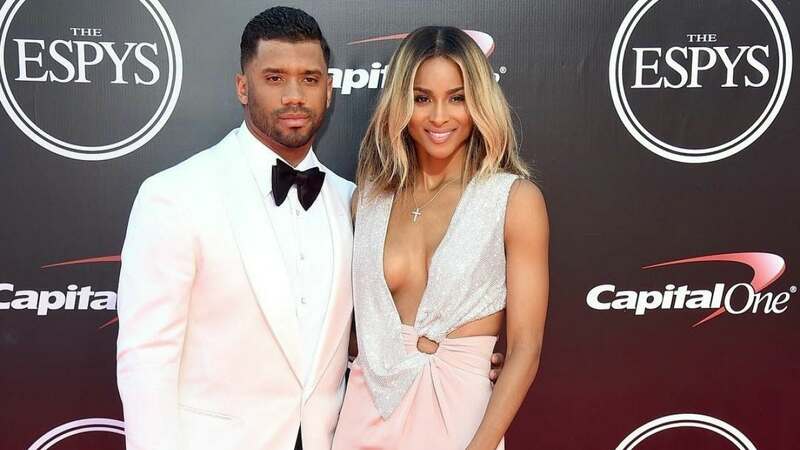 Ciara feels "safe" with Russell Wilson: "He's got my back"
Ciara says she feels "safe" and supported with her husband, NFL star Russell Wilson. The 33-year-old singer discussed her relationship with the Seattle Seahawks quarterback in the April issue of InStyle magazine. Ciara married Wilson in July 2016 after a whirlwind romance. She said she found unconditional and drama-free love with Wilson following her highly-publicized split with her ex-fiance, Future. "He's my sounding board for pretty much everything I do in my life," the star said of Wilson. "He doesn't want to see me fail. He's got my back. That's an awesome feeling." Ciara said she immediately connected and had "that light-bulb moment" with Wilson during their first date in March 2015. Wilson was a welcome respite after a lot of prayer and searching following her split from Future. "If you want to get somewhere in life, you've got to have a compass. You've got to know where you really want to get to. And my heart, soul, spirit, and mind just desired to be loved. To be truly loved the right way," the singer said. "I knew I didn't want to cry tears of hurt anymore. I didn't want to keep going around in circles," she added. Ciara today is focused on her children, 22-month-old daughter Sienna Princess with Wilson and 4-year-old son Future Zahir with Future, and working on new projects. She launched Beauty Marks Entertainment in January and intends to release a new album this year. "[I do] what feels right to my creative heart," the star said. "I've heard a lot of noes, and I still hear them to this day, but I'm not taking my eyes off the goal. I always say, 'I am a woman of ambition on a mission, and I'm gonna get it,'" she declared. Ciara released "Level Up," her first new single in three years, in July. The energetic music video sparked the "Level Up" online dance challenge and has received over 157 million views.